Hello, I'm Jerry Smit with the BBC News. President Trump has apologized on behalf of the American people to the newly appointed US Supreme Court Justice Brett Kavanaugh for what he called the campaign of political and personal destruction that the Judge had had to endure. During his confirmation process, Mr. Kavanaugh faced historical allegations of sexual assault, but at a special swearing-in ceremony at the White House, Justice Kavanagh said he would always be impartial. Nick Bryant reports. It felt like the season finale of a prime time reality TV show and also Republican rally ahead of next month's congressional elections. Feeling gratitude, not bitterness, Brett Kavanagh said he'd serve one nation, not one party, and stressed that for the first time in Supreme Court history, all four of his law clerks would be women. Ordinarily, these kind of White House ceremony is more solemn, at a respect for the constitutional independence of America's Highest Court. This event, which the president gave a sharp partisan edge, showed how the norms of national life here are being cast aside. The Ukrainian Defense Ministry says there's been a series of explosions at an ammunition depot near the city of Chernihiv. There are no reports of casualties. Here is Jonah Fisher. The explosion took place around 3:30 in the morning at a military base 176 kilometers east of Ukraine's capital Kiev. Air space was quickly closed and according to the emergency services, 10,000 people evacuated from their homes. Video filmed by some of those fleeing and posted to social media show a large fire with regular loud explosions. Questions are already being asked as to whether the cause was negligent storage or sabotage. 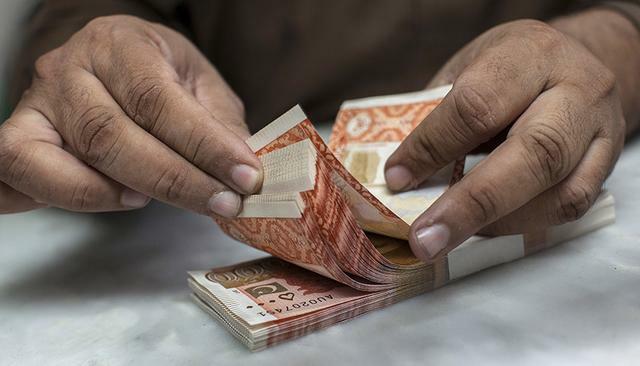 Pakistan says it's decided to approach the International Monetary Fund for a bailout to tackle its mounting balance of payments crisis. Its finance minister said the Prime Minister Imran Khan had made the decision after consulting economic experts. Secunder Kermani reports. Many analysts have long predicted that the country would need to approach the IMF for 13th bailout package. But Prime Minister Imran Khan had favored exploring other options first, including possible bilateral loans from friendly countries. Economists say, however, Pakistan needs around twelve billion dollars, and only the IMF is likely to be able to provide that kind of funding. The money could, however, come with spending restrictions, making it more difficult for Imran Khan to implement his vision of Islamic welfare state. You're listening to world news from the BBC. 1.The explosion took place around 3:30 in the morning at a military base 176 kilometers east of Ukraine's capital Kiev. 2.Pakistan says it's decided to approach the International Monetary Fund for a bailout to tackle its mounting balance of payments crisis. Britain's balance of payments deficit has improved slightly. 3.President Trump has apologized on behalf of the American people to the newly appointed US Supreme Court Justice Brett Kavanaugh for what he called the campaign of political and personal destruction that the Judge had had to endure.